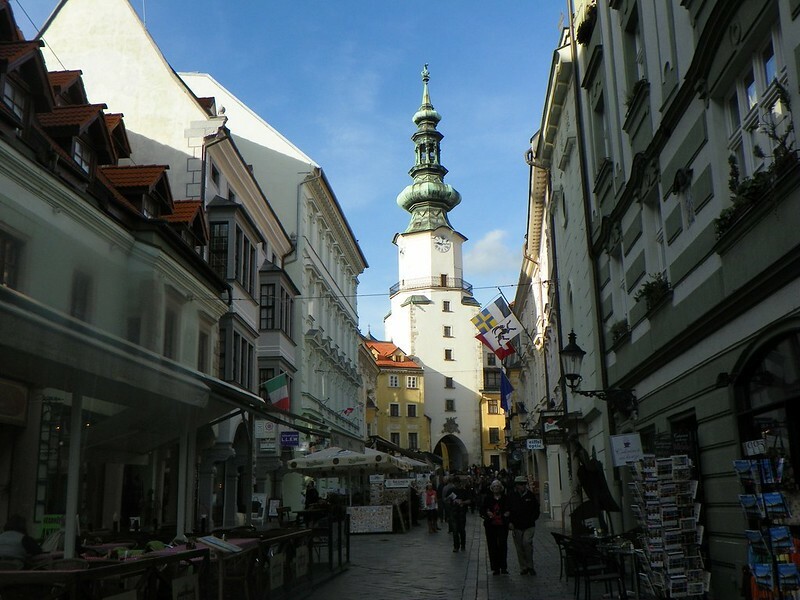 Bratislava was definitely not on our list of places to go when we left San Francisco. 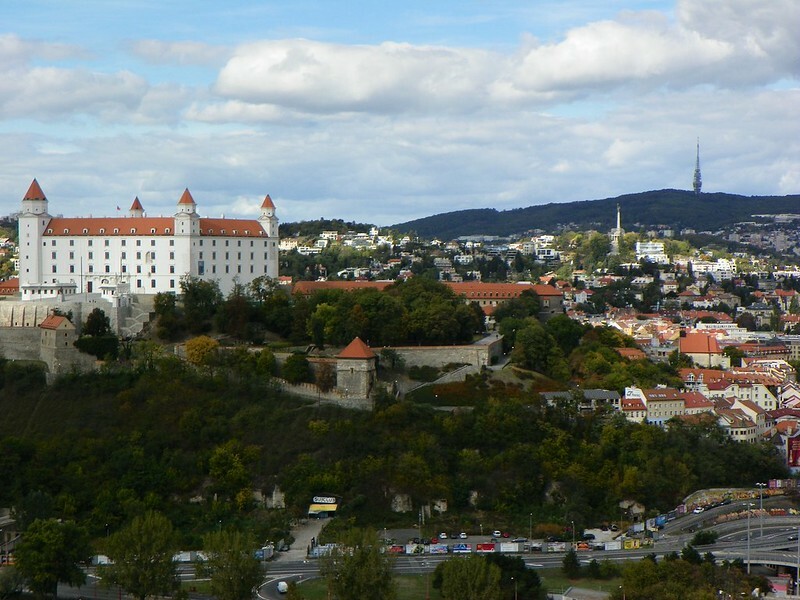 I really don't even remember when or why we decided to go, but I'm going to be honest with you - the only reference of Bratislava I had before going there was from the movie Eurotrip (one of my favorite movies of all time!) 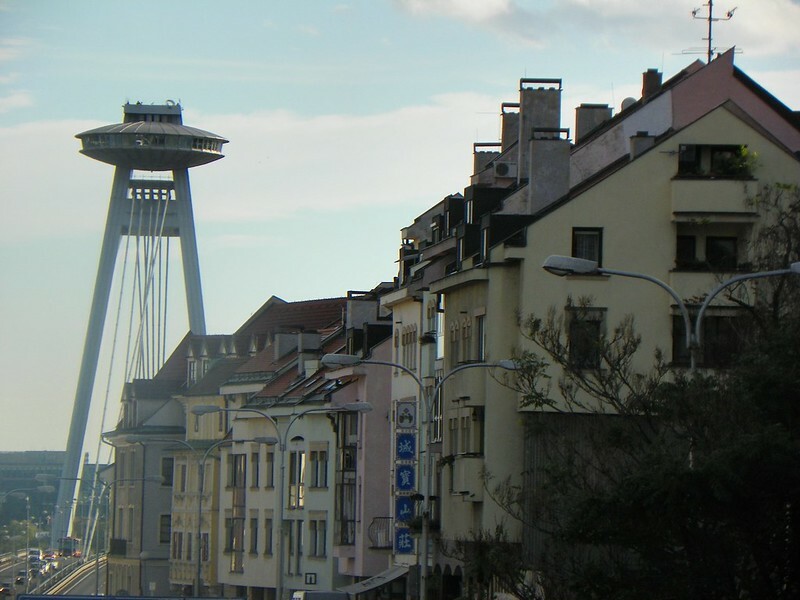 which, I've you've seen it, doesn't exactly portray Bratislava in a positive light. Needless to say, Bratislava is nothing like it is in eurotrip. Not even close. It's extremely cute actually, and though it's definitely a small town it's much more modern than I expected it to be. 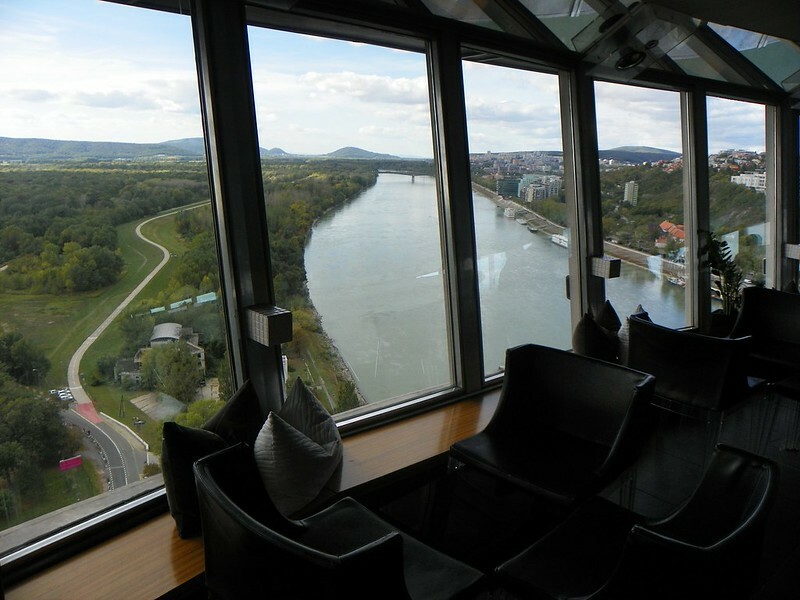 Bratislava is also the very first place Angelina and I decided to couch surf. (If you don't know what I'm talking about, check out couchsurfing.com) Pretty sure if I told my mother I was going to Slovakia to sleep on some dudes couch I've never met before, she wouldn't be too happy with me (sorry Mom! ), but it actually ended up being amazing! Our hosts, Piotr and Veronica were so hospitable and lovely. It was really nice to be in a home-y atmosphere after staying in hostels for so long. Our first night there, we went out with Piotr, grabbed a delicious traditional Slovak dinner and then headed over to a really great bar that overlooked the city. He told us about lots of cool things to do, so the next day we took his advice and did some exploring on our own. We went to the top of the UFO bridge, which got its name because it has a restaurant and look-out on top of it that looks like a UFO. The view was great though, definitely worth 3 euro! Afterwards, we did some serious shopping. 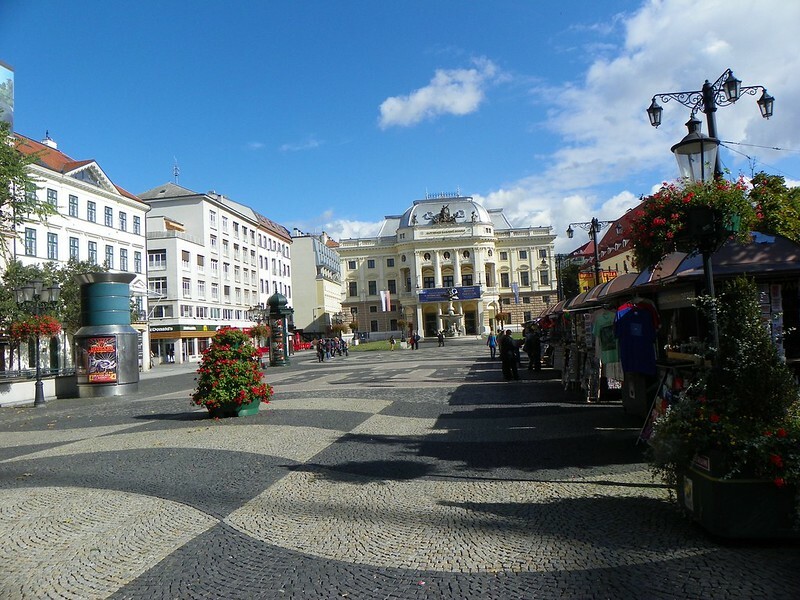 Bratislava is cheap as hell! For instance, you can get a full lunch (drink, appetizer, main) for 5 euro. So great. Then we hiked up to Hrad castle, which not only has a sweet view but is also insanely beautiful on the inside (I want to live there!) before heading over back downtown for a couch surfing meet up with Piotr and his friends. We found that almost everyone spoke English, so getting around wasn't difficult and people were easy to get along with. The next day we leisurely strolled around the city before catching an afternoon train to Vienna. Our stay was short, but memorable. I would definitely come back for the friendly people and the cheap shopping!